Socialization isn’t a one-time or even a short-term event. We aren’t “stamped” by some socialization machine as we move along a conveyor belt and thereby socialized once and for all. In fact, socialization is a lifelong process. In the United States, socialization throughout the life course is determined greatly by age norms and “time-related rules and regulations” (Setterson 2002). As we grow older, we encounter age-related transition points that require socialization into a new role, such as becoming school age, entering the workforce, or retiring. For example, the U.S. government mandates that all children attend school. Child labor laws, enacted in the early twentieth century, nationally declared that childhood be a time of learning, not of labor. In countries such as Niger and Sierra Leone, however, child labor remains common and socially acceptable, with little legislation to regulate such practices (UNICEF 2012). Have you ever heard of gap year? It’s a common custom in British society. When teens finish their secondary schooling (aka high school in the United States), they often take a year “off” before entering college. Frequently, they might take a job, travel, or find other ways to experience another culture. Prince William, the Duke of Cambridge, spent his gap year practicing survival skills in Belize, teaching English in Chile, and working on a dairy farm in the United Kingdom (Prince of Wales 2012a). 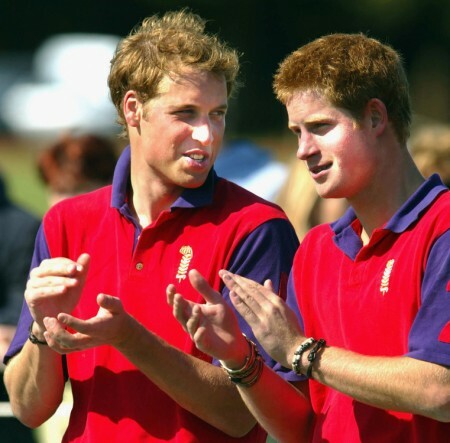 His brother, Prince Harry, advocated for AIDS orphans in Africa and worked as a jackeroo (a novice ranch hand) in Australia (Prince of Wales 2012b). In the United States, this life transition point is socialized quite differently, and taking a year off is generally frowned upon. Instead, U.S. youth are encouraged to pick career paths by their mid-teens, to select a college and a major by their late teens, and to have completed all collegiate schooling or technical training for their career by their early twenties. In yet other nations, this phase of the life course is tied into conscription, a term that describes compulsory military service. Egypt, Switzerland, Turkey, and Singapore all have this system in place. 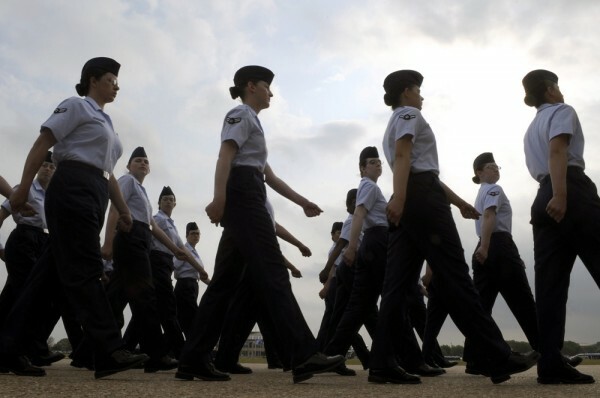 Youth in these nations (often only the males) are expected to undergo a number of months or years of military training and service. How might your life be different if you lived in one of these other countries? Can you think of similar social norms—related to life age-transition points—that vary from country to country? Many of life’s social expectations are made clear and enforced on a cultural level. Through interacting with others and watching others interact, the expectation to fulfill roles becomes clear. While in elementary or middle school, the prospect of having a boyfriend or girlfriend may have been considered undesirable. The socialization that takes place in high school changes the expectation. By observing the excitement and importance attached to dating and relationships within the high school social scene, it quickly becomes apparent that one is now expected not only to be a child and a student, but also a significant other. Graduation from formal education—high school, vocational school, or college—involves socialization into a new set of expectations. Educational expectations vary not only from culture to culture, but also from class to class. While middle- or upper-class families may expect their daughter or son to attend a four-year university after graduating from high school, other families may expect their child to immediately begin working full-time, as many within their family have done before. 2008 was a year of financial upheaval in the United States. Rampant foreclosures and bank failures set off a chain of events sparking government distrust, loan defaults, and large-scale unemployment. How has this affected the United States’s young adults? Millennials, sometimes also called Gen Y, is a term that describes the generation born during the early eighties to early nineties. While the recession was in full swing, many were in the process of entering, attending, or graduating from high school and college. With employment prospects at historical lows, large numbers of graduates were unable to find work, sometimes moving back in with their parents and struggling to pay back student loans. According to the New York Times, this economic stall is causing the Millennials to postpone what most Americans consider to be adulthood: “The traditional cycle seems to have gone off course, as young people remain untethered to romantic partners or to permanent homes, going back to school for lack of better options, traveling, avoiding commitments, competing ferociously for unpaid internships or temporary (and often grueling) Teach for America jobs, forestalling the beginning of adult life” (Henig 2010). The term Boomerang Generation describes recent college graduates, for whom lack of adequate employment upon college graduation often leads to a return to the parental home (Davidson, 2014). The five milestones that define adulthood, Henig writes, are “completing school, leaving home, becoming financially independent, marrying, and having a child” (Henig 2010). These social milestones are taking longer for Millennials to attain, if they’re attained at all. Sociologists wonder what long-term impact this generation’s situation may have on society as a whole. In the process of socialization, adulthood brings a new set of challenges and expectations, as well as new roles to fill. As the aging process moves forward, social roles continue to evolve. Pleasures of youth, such as wild nights out and serial dating, become less acceptable in the eyes of society. Responsibility and commitment are emphasized as pillars of adulthood, and men and women are expected to “settle down.” During this period, many people enter into marriage or a civil union, bring children into their families, and focus on a career path. They become partners or parents instead of students or significant others. Just as young children pretend to be doctors or lawyers, play house, and dress up, adults also engage in anticipatory socialization, the preparation for future life roles. Examples would include a couple who cohabitate before marriage or soon-to-be parents who read infant care books and prepare their home for the new arrival. As part of anticipatory socialization, adults who are financially able begin planning for their retirement, saving money, and looking into future healthcare options. The transition into any new life role, despite the social structure that supports it, can be difficult. In the process of resocialization, old behaviors that were helpful in a previous role are removed because they are no longer of use. Resocialization is necessary when a person moves to a senior care center, goes to boarding school, or serves time in jail. In the new environment, the old rules no longer apply. The process of resocialization is typically more stressful than normal socialization because people have to unlearn behaviors that have become customary to them. The most common way resocialization occurs is in a total institution where people are isolated from society and are forced to follow someone else’s rules. A ship at sea is a total institution, as are religious convents, prisons, or some cult organizations. They are places cut off from a larger society. The 6.9 million Americans who lived in prisons and penitentiaries at the end of 2012 are also members of this type of institution (U.S. Department of Justice 2012). As another example, every branch of the military is a total institution. Many individuals are resocialized into an institution through a two-part process. First, members entering an institution must leave behind their old identity through what is known as a degradation ceremony. In a degradation ceremony, new members lose the aspects of their old identity and are given new identities. The process is sometimes gentle. To enter a senior care home, an elderly person often must leave a family home and give up many belongings which were part of his or her long-standing identity. Though caretakers guide the elderly compassionately, the process can still be one of loss. In many cults, this process is also gentle and happens in an environment of support and caring. After new members of an institution are stripped of their old identity, they build a new one that matches the new society. In the military, soldiers go through basic training together, where they learn new rules and bond with one another. They follow structured schedules set by their leaders. Soldiers must keep their areas clean for inspection, learn to march in correct formations, and salute when in the presence of superiors. Learning to deal with life after having lived in a total institution requires yet another process of resocialization. In the U.S. military, soldiers learn discipline and a capacity for hard work. They set aside personal goals to achieve a mission, and they take pride in the accomplishments of their units. Many soldiers who leave the military transition these skills into excellent careers. Others find themselves lost upon leaving, uncertain about the outside world and what to do next. The process of resocialization to civilian life is not a simple one. Socialization is a lifelong process that reoccurs as we enter new phases of life, such as adulthood or senior age. Resocialization is a process that removes the socialization we have developed over time and replaces it with newly learned rules and roles. Because it involves removing old habits that have been built up, resocialization can be a stressful and difficult process. Consider a person who is joining a sorority or fraternity, attending college or boarding school, or even a child beginning kindergarten. How is the process the student goes through a form of socialization? What new cultural behaviors must the student adapt to? Do you think resocialization requires a total institution? Why, or why not? Can you think of any other ways someone could be resocialized? Davidson, Adam. 2014. “It’s Official, the Boomerang Kids Won’t Leave.” New York Times, June 20. Retrieved October 27, 2014 (http://www.nytimes.com/2014/06/22/magazine/its-official-the-boomerang-kids-wont-leave.html?_r=0). Henig, Robin Marantz. 2010. “What Is It About Twenty-Somethings?” New York Times, August 18. Retrieved December 28, 2011 (http://www.nytimes.com/2010/08/22/magazine/22Adulthood-t.html?adxnnl=1&adxnnlx=1325202682-VVzEPjqlYdkfmWonoE3Spg). Prince of Wales. 2012a. “Duke of Cambridge, Gap Year.” Retrieved January 26, 2012 (http://www.dukeandduchessofcambridge.org/the-duke-of-cambridge/biography). Prince of Wales. 2012b. “Prince Harry, Gap Year.” Retrieved January 26, 2012 (http://www.princeofwales.gov.uk/personalprofiles/princeharry/biography/gapyear/index.html). Setterson, Richard A., Jr. 2002. “Socialization in the Life Course: New Frontiers in Theory and Research.” New Frontiers in Socialization, Vol. 7. Oxford, UK: Elsevier Science Ltd.
UNICEF. 2011. “Percentage of Children Aged 5–14 Engaged in Child Labour.” Retrieved December 28, 2011 (http://www.childinfo.org/labour_countrydata.php). U.S. Department of Justice. 2012. “Corrections Populations in the US, 2012.” Retrieved October 27, 2014 (http://www.bjs.gov/content/pub/pdf/cpus12.pdf).